I've been meaning to read a C.J Daughtery book for ages and when she came promoting her new book I knew I was going to have to get the book and find out what all the hype is. So, it is fair too say my expectations were stupidly high and amazingly my expectations were met and I'm left wishing I didn't let my friends tell me all the spoilers to 'Night School'. The characters were really well developed I felt so connected to all of them. I thought it was great how the minor characters got tied into the bigger story. I also liked how you felt you knew the characters but you didn't know everything about them. My favourite character is Louisa and even though you find out loads about her a huge portion of her is still a mystery. The plot was really fast paced yet at the same time it never felt like anything was just glossed over. There was never anything that I wished was more developed. It was done really well. The ending was also really well done. It was a nice wrap up of the book yet made you want to continue the series instantly. 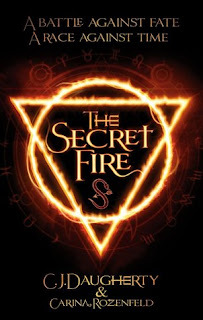 I'm so excited for 'The Secret City', I just want it in my hands right now.